A shining star now forever lighting the path of all those whom she loved and who loved her. 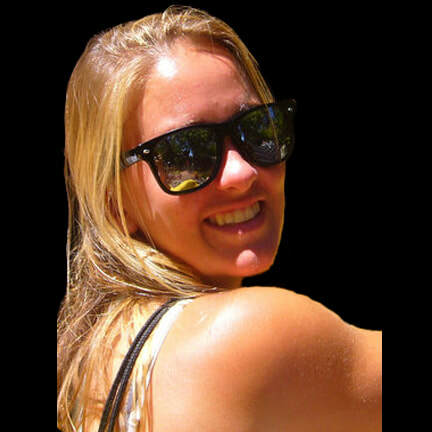 The Khristin Kyllo Memorial Fund was created by her parents, Julie and Tom Kyllo, along with the help of many of their friends, school administrators, coaches and neighbors. The inspiration for this Fund came directly from Khristin and the way she motivated the people around her along with her love of sports and her passion for life. Khristin inspired her teammates and her friends to seize every moment and not take anything for granted. The Fund will be used to support seizure research/education and provide scholarships to individuals at James Madison High School who embody the ideals by which Khristin lived. Please think of us next time you shop on Amazon. It's the same Amazon! Go to smile.amazon.org and select the KhristinKylloMemorialFund and we get a % what you spend! ​2011 - We were able to award a $5,000 and $1,500 scholarship to James Madison High School students. Thank you for your support! 2012 - We were able to award a $5,000 scholarship to a James Madison High School student. She will be attending the College of Charleston. 2012 - We donated $1,000 to SUDEP AWARE! It's important to spread the word about this fatal condition. 2013 - We were able to award a $5,000 and a $1,500 scholarship to Madison High School students. They will both be able to attend college in the Fall as first generation college students. 2013 - VIENNA IDOL was a huge success! Thanks to Caffe Amouri we raised $14,000! We were able to donate $1,400 to SUDEP AWARE. 2014 - We were able to award a $5,000 and a $1,500 scholarship to Madison High School students. They will both be able to attend their dream college in the Fall. 2014 - VIENNA IDOL was a huge success again. Thank you Caffe Amouri & Whole Foods!! 2015 - We were able to award a $5,000 and a $2,000.00 scholarship to Madison High School students. We were also able to start our seizure monitor program. 2015 - VEINNA IDOL was a great success with a new voting format . 2016 - We were able to award a $5,000.00 scholarship to a great young student with huge dreams. We were thrilled to give away our first seizure watch ensuring that the recipient will be able to attend college. Finally, we were able to give $1,200 to SUDEP AWARE. 2016 - VIENNA IDOL drew the largest crowd many had ever seen on the Vienna Town Green. Participation was incredible and over $12,000 was raised. 2017 - VIENNA IDOL finals was another great success raising $13,000. 2018 - Vienna Idol drew one of it's biggest crowds ever and raised just over $13,000.00. 2018 - We were happy to be able to award a $5,000.00 scholarship and two $2,500.00 scholarships to three amazing Madison High School students with big dreams. We continue to expand the seizure monitor program. 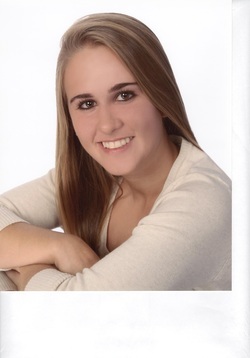 Khristin Elizabeth Kyllo, age 18, of Vienna, Va, died on Thursday, January 13, 2011 at Princeton University.